Are you looking at new kitchen cabinets for your home? If you are then you want to make sure you have the absolute best you can get, right? You want a company that you can trust to give you high quality and also something you’ll love. That’s exactly what we’ve looked to do right here, help you figure out just which are the best kitchen cabinet companies you need to check out. There are so many more kitchen cabinet manufacturers than we could possibly tell you about in just one little article. So we’ll try to focus on some of the best cabinet makers out there and see if any of these are the ones you want to go with. After all, the best kitchen cabinets aren’t going to find themselves. So you need to know where to find them. With so many different cabinet manufacturers around, it can be difficult to know just who you’re looking at or who you’re looking for. 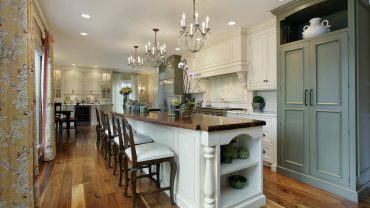 A lot of people end up with cabinets that aren’t made by truly great or even good cabinet makers, but some get the kitchen cabinet companies that they’re looking for. That’s what we want to help you with, finding the best of the best, and these 17 cabinet manufacturers definitely fit that. 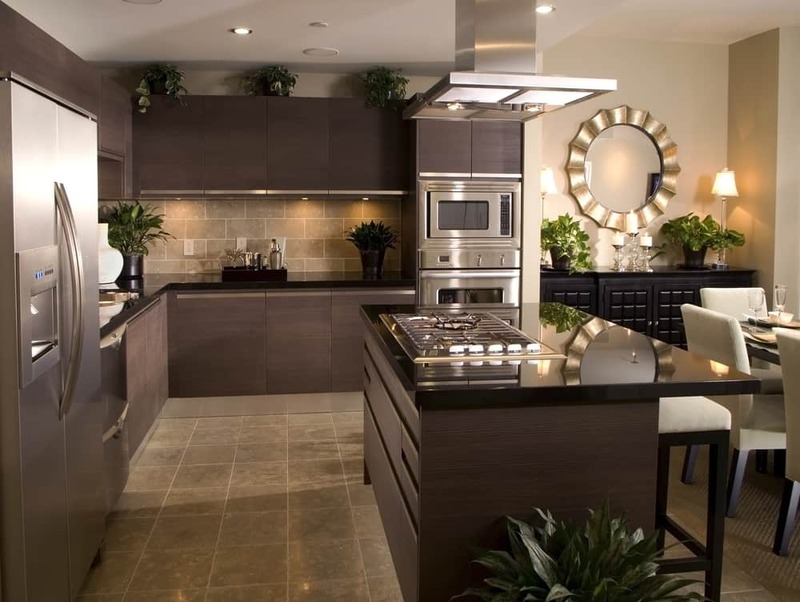 They’re the best kitchen cabinet companies in North America. Norcraft companies is one of the best rated kitchen cabinets manufacturers you’ll find. Based out of Minnesota, this company has been around since 1966, meaning they have plenty of experience. They have great quality warranties, use all different types of wood and styling and they offer different price ranges. Even those with a smaller budget can afford these cabinet makers, because they price to work for everyone. They’re also built entirely in America and the company is part of the Kitchen Cabinet Manufacturers Association for standards. These cabinets are considered semi-custom, so you won’t be able to 100% design, but you’ll get a great start and that’s why it’s one of the best kitchen cabinet companies. MasterBrand Cabinets is definitely one of the best rated kitchen cabinets brands you’ll find in North America and they’re one of the largest too. They are also one of the best kitchen cabinet companies that also follow the Kitchen Cabinet Manufacturers Association standards on quality and they have a range of different prices and styles to choose from. You get to pick out just about everything you want when it comes to these cabinets and the company actually owns 10 different cabinet brands altogether. That means a whole lot of different price points to make things easier for you. Based out of Canada, this is the only one of the kitchen cabinet brands we have here to not be in the United States. That’s because it’s one of the best kitchen cabinet companies around. It also offers a wider range of wood types, however, so you get a whole lot of options. Those choices go all the way from fiberboard and bamboo to maple and cherry so you’re definitely getting anything you want. The products are all high quality and come in any color you could imagine. What’s even better is you get entirely frameless designs and organization options for the cabinets. Your warranty is 10 years across the board as well. Starmark is one of those cabinet brands that will give you options and actually handcrafts everything. They have plenty of different styles and wood types and everything is made of hardwood to your design choice. You don’t have any semi-custom options here, which makes them one of the best kitchen cabinet companies. You will get a lifetime warranty, plenty of paint color and stain options and KCMA certified products. Although, you will have to pay a bit more to get these benefits however, so it’s important to consider that when you’re planning where to go. If you need to save a little money this might not be the place, but if you want something custom designed it may be one of the best kitchen cabinet companies. Based out of Indiana, Diamond is one of the many kitchen cabinet makers offering a lifetime warranty on their products. You will get a range of styles available with them, but you’re not going to get as many wood options. Still, if you’re looking for something a little standard in this area, you’ll be able to get it with Diamond. The options are going to be somewhat inexpensive, though you’ll find cheaper options throughout our list as well. You will have a great warranty though and you’ll have cabinets that will last for a very long time. These are one of the best kitchen cabinets when it comes to eco-friendly companies. They meet KCMA standards on quality, but still use environmental practices at the same time. You can trust you’re helping the environment when you choose these types of cabinets and you still get good variety and quality that you’re looking for. There aren’t as many wood types as you’ll find with other brands, but there are enough to mix and match your own style and the semi-customizable aspect means you can get them how you need for your home. The best kitchen cabinet companies have at least some of these aspects, after all. One of the oldest kitchen cabinet makers on this list, Kemper has been around since 1926 and the still make some of the best quality products you’ll find about anywhere. They are certified under the KCMA Environmental Stewardship Program and always use environmentally responsible materials and try to reduce their impact. They may have a smaller variety of options in wood types, but they still provide a lot of variety and the value of what you get is great. That’s important because it’s a limited lifetime warranty, so you can bet they’ll do their best to get things right the first time. If you want cabinets for kitchen and don’t know quite what you’re looking for you can still find it with Fieldstone. That’s because they have one of the largest varieties of wood around and they have custom color options and tons of accessories for decoration and organization. You can get semi-custom cabinets standard or you can upgrade to custom for a little higher fee. So you’ll be able to get anything you’re looking for here, though you will have to pay for it. The quality here is still quite good though you’ll want to take a close look for square. A limited lifetime warranty makes this one of the best kitchen cabinet brands for standing behind their products. If you’re looking for wood varieties you’ll find a number of them here, which is great for a semi-custom manufacturer. You’ll also find a whole lot of custom options when it comes to styles and insets plus you can use their cabinets to match exactly what you already have. The price for the value is a little bit off, but you’re definitely going to have a lot of options to choose from and that can make it worth it. This is one of the best rated kitchen cabinets manufacturers for door styles and wood species. You get a large selection of both and of course, everything can be mixed and matched to get exactly what you’re looking for. The quality is good and the company that owns this brand is family owned. The limited lifetime warranty definitely says they stand behind their products. Even though the quality is a little off when it comes to price per value, you definitely will get something you can count on and enjoy using for a long period of time. These kitchen cabinet makers are based out of Michigan and have a wide selection of styles and finishes. You can choose between standard options and even things like burnished, glazed or painted finishes. Not only that but the quality is definitely amazing when you go with some of the little higher level over the basics. You will spend a little more here and the warranty ranges from 5 years to lifetime, so you want to watch that. Even still, you’re going to have a whole lot of options and a company that is KCMA certified as well. The company also has demonstrable environmental sustainability. If you’re looking at kitchen cabinet brands that have the most experience you definitely want to look at marsh Furniture. They’ve been in the cabinet industry for over 100 years and that means you definitely get quality. They’re KCMA certified and offer a lot of options at a value price. You’re not going to get a whole lot of custom choices, but you’ll still be able to get some good options. You’re also going to get a 5 year limited warranty so you can expect the quality to stand up well and to get what you’re paying for as well. Part of the Masterbrand line, these cabinet manufacturers offer a range of different options when it comes to the styles and designs you’re looking for. They’re a bit expensive, which can take away a little from who wants to purchase them because the value doesn’t seem to match. At the same time, you’re going to have a limited lifetime warranty and a decent number of choices. They’re also close to custom made with 1/8” changes and adjustments as needed. You’ll also be able to work with the company if there are any problems later on. These are some of the best kitchen cabinets you’ll find with these types of materials. 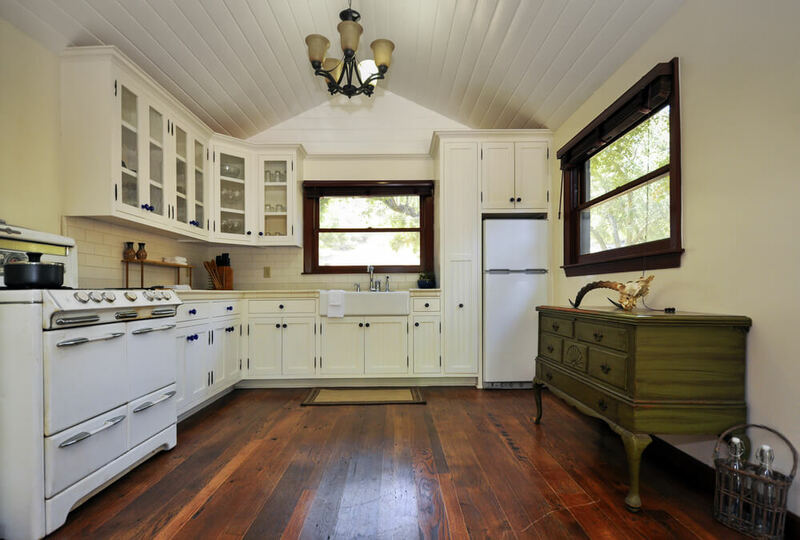 The hardwood is high quality and gives you beautiful grain and color. Not only that, but you can get decorative colors and inserts as well. These cabinets for kitchen are completely custom, though you’re going to spend more money on them than you would with other options. You can get absolutely any color you want, different laminates, finish sheens and a whole lot more, as well as the size that you’re looking for. Unfortunately, you’re going to pay a decent amount for those benefits. This is one of the many kitchen cabinet companies that offers semi-custom cabinets with a decent selection of finishes and styles. Though the finishes aren’t as wide a range as you’ll find in some places, they definitely are varied so you might find more than with other companies. You will pay a little bit more for the cabinets you get here, but you get a lifetime warranty to go with them. That means you know you’re getting something that’s a good quality. If you want a good variety of options and price isn’t a big deal this is one of the best kitchen cabinet companies. If you want cabinets for kitchen that are going to be good across the board this is the way to go. They have great custom options to ensure you get the exact look you’re going for but everything else is going to be good, not exceptional. You get a pretty good range look to the finish, good quality and durability over the long term but the price is a little bit high. You’ll also get an okay warranty for the lower level products at only 5 years and a good one on higher quality at limited lifetime. So if you’re looking for something with options and price is only a moderate factor you’ll find some good benefits to the higher level ones here. This is the last of our kitchen cabinet companies but that doesn’t mean it’s not a company to consider carefully. Kraftmaid has good selection on just about everything from the doors and the wood types to the finish. They’re also very durable and they have some options that put them really close to that ‘custom’ category without actually being custom. They are expensive for the type of cabinets you get (since they aren’t actually custom) but they are good quality and they have a good warranty (as long as you own the cabinets). So you’ll definitely get something out of it. When it comes to cabinet brands, you want to make sure you look at each of these and don’t be afraid to branch out even more either. You may find something that you absolutely love from somewhere totally different. After all, there are more kitchen cabinet manufacturers around than anyone even knows. So why not get what you’re really looking for in the best kitchen cabinet companies?